When it's time to sell your home, you may be worried it won't go smoothly because you have a tenant living in your Charlotte house. Just because you rented out your house doesn't mean you cannot sell it. A tenant-occupied property can be sold, even before the lease is up. However, there are some things you have to be aware of when selling a home with a tenant in it. Let's look at a few of the things you should consider when you're in this situation. The first step in selling your home if you have tenants is to let them know you plan to sell the home. You can send notice, talk to them in person, or call them over the phone. It's best to send a certified letter and speak with your tenants in person. This protects you legally and allows you to keep the personal touch with your tenants. When you have a tenant with a long-term lease, it can slow down the selling process. A month-to-month lease is a bit easier to work with, but it's not impossible to sell with a long-term lease. However, if that lease comes up, don't renew it. Selling a vacant home is much easier than a tenant-occupied home. If you get the chance to get out of the lease with your tenants, take it, as it will make it much easier to sell the property. Maybe your tenants are thinking about buying a house and really love where they live. If so, you may want to sell your home to the tenant. This can provide plenty of benefits including the ability to use owner financing to help them buy your home from you. It's not uncommon today, for a home buyer to buy a house without ever seeing it in person. This happens with military men and women often because they must move whenever they are re-assigned. Many others in business also must relocate quickly and may not have the time to find a buyer before they relocate. Carrying a mortgage on two properties can be difficult and if you're not there to find a buyer, it can become a stressful situation. Not only will most home sellers count on the funds from the sale for the down payment on their next home, but they may also struggle to get approved while carrying another mortgage. The answer, for some, maybe to sell to an I-buyer. An I-buyer is a company online willing to make an offer on your home without wasting much time. Often, they will make an offer sight unseen, based on the valuation model for the home. While these types of buyers are usually larger companies looking to flip the property, sometimes, they are individual buyers. An I-buyer can be defined as someone that only saw your property online and is willing to make an offer very quickly. Maybe they are in a similar situation as you and need to relocate quickly. In other circumstances, it could be a company in the business of buying homes sight unseen, putting in a little work, and reselling the home. I-buyers provide many benefits to those needing to sell their home quickly. However, the main benefit they provide is convenience. When you need to move your home quickly, an I-buyer can step in and make this possible. When it's time to sell your Charlotte home, curb appeal matters. You have to make your home as appealing to buyers as possible or you may not get the offers you desire. Creating incredible curb appeal isn't always easy, but it doesn't have to be expensive or difficult. There are several ways to go about creating incredible curb appeal before listing your home. Here are ten ways to boost your Charlotte home's curb appeal in just a weekend. If it's time to sell your home, you will find that paint will quickly become your best friend. While it's probably necessary to paint some of your interior rooms, painting the exterior access areas is one of the fastest and cheapest ways to boost curb appeal. Painting the entire exterior would be great, but you don't have to go this far. If you simply paying the doors, shutters, and trim, you can add plenty of curb appeal to your home. Make sure you consider the current color trends for home exteriors and match the right color to your home's style. Since paint is typically around $20 to $30 per gallon, this job can be done for less than $100 and in just a few hours. If your exterior light fixtures are outdated or simply not in good shape, you can replace them for more curb appeal. You will need to make sure the new lighting fixtures have the same type of mounting system or this could become a frustrating job in a hurry. Most outdoor sconces can be found at home improvement stores for about $20 or $30 each. You don't need an electrician to replace the outdoor lights as this is certainly something a good DIYer can handle on their own. Should You Sell Your Charlotte Home During the Winter? While Charlotte winters are mild compared to northern cities, you may still be wondering if you should sell your home during the winter or wait until the spring. Listing your home at the right time matters, but the winter isn't a bad time to list your home for sale. In many ways, it could be a perfect time. The months of November and December may seem like bad months for selling, but this isn't exactly true. Buyers are still out shopping for a new home and often, there are fewer homes on the market during these months. This might be the good news you were hoping to hear. You may be thinking about how hectic it can be to work showings and open houses into your already busy holiday plans. However, if you have a home you'd like to sell in Charlotte, there are several advantages to getting it listed now. Here are some of the benefits of selling your Charlotte home during the winter. In today's day in age, home buyers find you online first 95% of the time. There used to be a time when you couldn't search home listings any day of the week, at any hour of the day. Today's buyers will find you when it's convenient for them and that's good news for sellers in the winter. With good online listing pictures and a good real estate agent on your side, you'll have a great chance of selling during the winter. The internet is your friend in this situation and as long as buyers can find your home, you'll have plenty of interest, no matter the time of year. When it's time to sell your Charlotte home, you certainly have plenty of options for a real estate agent or broker. There are more than 2 million actively licensed real estate agents in the United States and plenty are found in Charlotte. However, not every agent is the same. Several types of agents and brokers are found out there and it's important to understand how each one works. When you're ready to hire the right Charlotte real estate agent, you'll want to understand what you're getting into. Here's a look at the different types of real estate agents found throughout Charlotte. The full-service real estate agent is the traditional agent and the most common. This type of agent will handle all the heavy lifting throughout the entire process to get your home sold. They will handle the staging, marketing, closing and so much more to help you get the home sold. When it comes to negotiating the contract and terms, your full-service real estate agent in Charlotte will be right there to help. They may even schedule inspections or any appointments with a closing attorney to ensure everything is handled smoothly. A less common type of agent you will run into is the limited service real estate agent. This type of agent is exactly what it sounds like. You'll get a limited amount of service from them and usually, you will pay a lower commission rate or a reduced fixed rate for their services. How do You Know You Chose a Great Charlotte Listing Agent? The right agent makes a huge difference. Some Charlotte listing agents have a specific way of marketing your home and making sure it gets sold. If you choose wisely, it can lead to a faster, more profitable sale of your home. However, choose the wrong agent and you may be in for a ride you simply won't be thrilled to take. A good agent knows how to cut through the fluff and get your home listed properly and sold fast. Here are a few of the most common signs to look for when you want to choose the right Charlotte listing agent for your home sale. A good real estate agent will be honest with you, even if they know it's not something you want to hear. The truth can hurt a bit, especially when you're emotionally attached to your home. A good agent won't sugar coat things or keep the truth from you as it can be dangerous to get your home sold. You may have an unrealistic perceived value of your home or you may think it's in better condition than it really is. Your agent should be willing to tell you these things without worrying about hurting your feelings. A good listing agent will have a professional stager or two they can recommend to you. Staging goes a very long way to getting your home sold, especially in the age of technology. Since most potential buyers will first see your home online, staging matters. It will show up in ever listing picture and every showing. Good listing agents are always very likable. If you like your agent, there is a good chance potential buyers will also like your agent. This is something you simply cannot go without as it makes a difference throughout the entire process. When it's time to sell your Charlotte home, a few easy and budget-friendly upgrades may be the answer. You want to sell your house for the highest possible price and as fast as possible. However, it may not be ready to be listed just the way it is today. Even with the market favoring sellers, you still have to take specific steps to make selling your Charlotte home easier. Here are some of the best budget-friendly upgrades to consider before selling. One of the easiest and most budget-friendly ways to lighten up a room and make your home look nice is a fresh coat of paint. While you may love the colors you have now, showing your home when it's listed for sale is best done with neutral colors. Choose a gray tone, if you don't want to use the common white or beige colors. Gray can help to make a room appear bigger. Whether your outlet and switch covers are in great shape or they've seen better days, this simple little upgrade makes a difference. If your children's rooms have custom covers, switch them out for something neutral. Depending on the color palette you've chosen for the paint, you can add a touch of class with hand brushed bronze or brushed nickel covers. You don't have to choose from the cheap plastic covers everybody uses. This simple little upgrade can be done by the homeowner for about $3 to $5 per cover. You don't need many tools; just a simple screwdriver will do the trick. When it's time to sell your Charlotte home, you need more than just the right real estate agent. The right agent is a huge step in the right direction, but you also need professional pictures for your listing. Before you have those pictures taken, you should have the home staged to ensure it looks the best it possibly can. Once staged, a professional photographer should come out and take dozens of great pictures of your home. The more pictures, the better and even better, if you can get a video walkthrough done, you'll be in even better shape to sell. You may be thinking this sounds like too much to do just to sell your home. However, great pictures make a big difference and you have to remember, the buyer will likely be making the largest purchase of their lives. 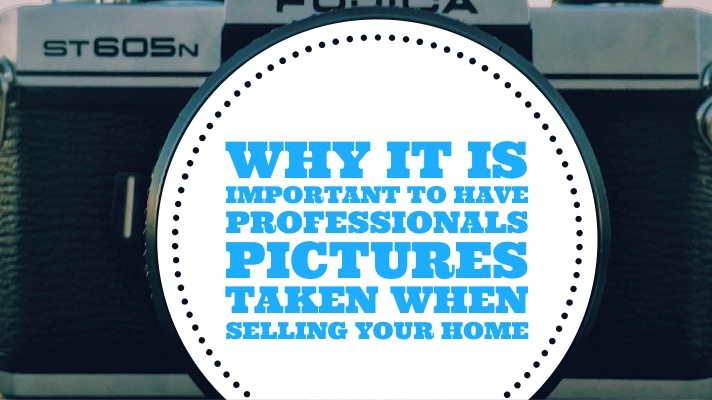 Here are several reasons why you should have professional pictures taken when selling your Charlotte home. More than 95% of home buyers find their home online first. In addition, the Wall Street Journal showed that 60% of buyers look at photos and don't even read the description of the home. It has also been shown that homes with high-quality pictures sell for 47% more than those with lower quality pictures. You have about 20 seconds to grab the attention of a potential homebuyer. If you have great photos, you can do this in just a few sections, while written words take much longer. The majority of homebuyers have admitted that pictures are very important. When it's time to sell your Charlotte home, you need to make sure it's prepared for listing. This isn't necessarily an exciting time as it can be rather hectic and stressful. The way the space looks is vital to getting it sold fast and for the right price. While the first thing you should always do when selling a home is to hire a real estate agent, you should also start sprucing the home up for the sale. There are some simple ways you can go about getting your home ready. Here are five of the top tips for preparing your home to sell. One of the best things you can do when selling your Charlotte home is adding light to the home. Getting a new light for a room that isn't so bright can make such a difference. When you lighten and brighten your home, it will look and feel larger and more inviting. Furniture is important, but having too much of it can make your home feel and look smaller. You want to leave only the most important pieces in each room. The rest, you can put into storage. It's also a good idea to hide any large or dark furniture to help your home feel more open. Clean out any closets that are filled with things and only leave a small number of things in each closet. You should do this with the attic and basement, as well. This is a good time to make a decision about the things you want to keep and those you can sell, donate or trash. The things you want to keep can all go to storage and you can get them later on once you've moved into your new home. 3. Install Efficient Lighting Such as Compact Flourescent (CLF) or LED Bulbs in Every Fixture.